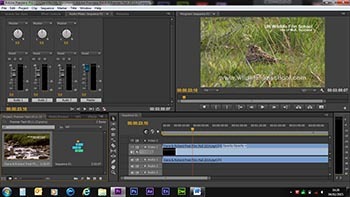 Editing in the field itself is no mean feat, though as a direct result of filming in 4K, we also need to edit in 4K. This brings with it it's own technical hurdles and we have built a mobile editing suite to overcome these challenges. Editing will be performed on an Apple Mac Book Pro editing laptop. This is an extremely powerful computer that has been designed specifically by Apple for editing 4K video and is the highest specification that Apple presently make. We will be using both internal and external raid storage systems required to store the massive amount of footage/data filmed over the course - to put this into perspective, at full resolution and bitrate, the Sony FS7 filming in 4K will generate 75 megabytes of data per second, or 4½ gigabytes per minute! 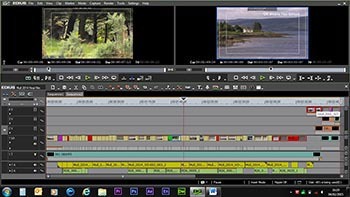 You will have the option of editing in either Adobe Premier Pro CC or Apples own Final Cut Pro - both of which are industry standard pieces of software. Other software available to use includes Photoshop, Sound Forge, Sonar and Pinnacle.